Whether you are an overzealous brusher or are notorious for skipping dental appointments, bleeding gums are generally experienced by almost everyone at some point in their lives. In some cases, the condition is remedied with a change in brushing and flossing technique. However, in some instances, lifestyle behaviors, illnesses or nutritional deficiencies can be to blame. Brushing too hard. Just can’t stand the thought of food residue being left on your choppers before you hit the hay? While you may think you are giving your teeth a deeper clean, your scrubbing and scraping could be doing more harm than good. Your gums are comprised of very sensitive tissue, unless otherwise recommended by your dentist, use only a soft-bristled brush and apply gentle pressure. The same holds true for flossing. Slowly work the floss between the teeth rather than quickly and harshly pushing it through. Once between the teeth gently rub the floss on both sides of each tooth to loosen any plaque or food particles. Not brushing enough. According to the National Institute of Dental and Craniofacial Research, 8.52 percent of adults ages 20-64 are diagnosed with periodontal disease, with 5.08 percent suffering from severe periodontal disease. And 17.20 percent of seniors over the age of 65 suffer from the condition (which is the number one cause of tooth loss) with over ten percent experiencing advanced periodontal disease. While it may seem like a nuisance to attend to your teeth after a late night out on the town, poor oral hygiene often results in a buildup of plaque and tartar which irritates gums, causing them to bleed easily and can eventually lead to serious gum disease. Poor nutrition. While rare in America, malnourished individuals often experience bleeding gums as a side-effect of vitamin C or vitamin K deficiency. Calcium, phosphorus and Vitamin D are also key in building strong teeth and warding off serious gum diseases. Those who have been ill for a prolonged period or have trouble absorbing nutrients from their food are most susceptible to these deficiencies. Medications or serious illnesses. Those at risk for heart attack or stroke are often prescribed medications such as aspirin or clopidogrel. The long-term use of these drugs can lead to bleeding gums. Other medications used in treating certain cancers, epilepsy or other illnesses can also contribute to the condition. In rare cases, bleeding gums can be a sign of oral cancers, liver disease or certain autoimmune conditions. If symptoms don’t subside with improved diet or better oral hygiene, a doctor’s visit is often recommended to rule out a more serious illness. 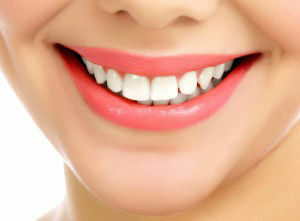 There are hundreds of products on the market promising to keep your teeth sparkling white. Yet many of these products are laced with dangerous chemicals and additives that can result in more harm than good. 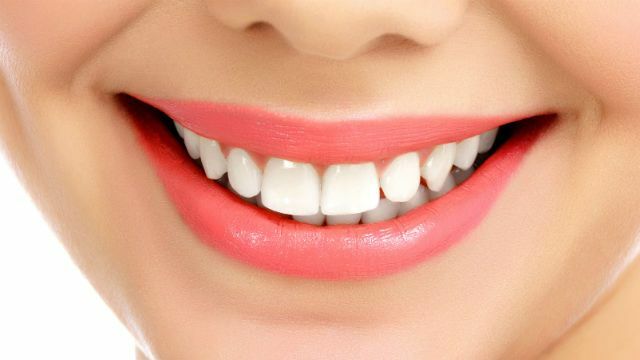 Rather than waste your money on the latest flavor of toothpaste or harsh whitening strip, try some of these natural techniques to aid in building stronger teeth. Soak your toothbrush in hydrogen peroxide once a week to kill the bacteria and change brushes every three months. Make your own natural toothpaste by combining six parts baking soda with one part sea salt and gently massage onto your gums and teeth followed by a rinse. Look for all natural or organic toothpastes with ingredients such as tree oils, hydrogen peroxide and CoQ10 and make sure it is free of colorings and additives. Eating a healthy diet goes without saying, but include natural teeth-cleaning foods such as cranberries, pomegranates, apples and green tea. Rinse your mouth daily with a homemade mouthwash consisting of one cup water, one teaspoon baking soda, a few drops of organic peppermint oil and tea tree oil. Most important is to make and keep regular dental visits and discuss any concerns with your dentist.